Ok, guys, it's officially that time of year, holiday shopping. (insert dramatic music). If you know me then you know I absolutely love Christmas it's hands down my favorite holiday of them all. Everything from the jolly music, to the magical decorations, just lifts my spirits. Even holiday shopping is a joy for me. Yes, I LOVE SHOPPING FOR HOLIDAY GIFTS! So today I'll be sharing with you all a great gift idea. This holiday season, give a gift that will keep on giving all year long! Sounds amazing right?? 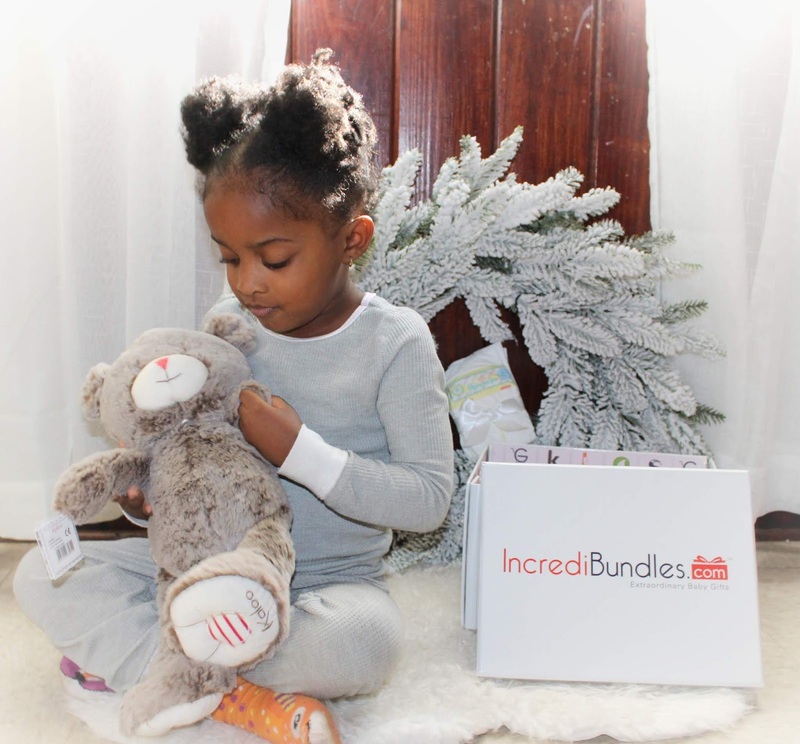 The Incredibundles.com Diaper/Wipe-subscription service is the foolproof holiday present perfect for giving to anyone who is expecting a baby or who has a little one in diapers. 1. You choose to give a 3-Month , 6-Month , 9-Month or Year of Diapers Subscription. 2. 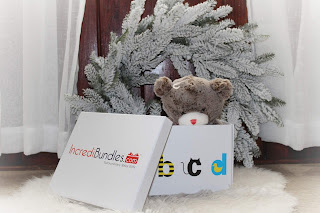 Once purchased, incredibundles.com will ship a beautiful announcement package featuring a premium plush teddy bear that holds a certificate announcing your gift. Cute Right?? This certificate includes your recipient’s unique activation code that they can use to redeem their diapers each month on IncrediBundles.com. It all comes bundled together in one of the company’s trademark chic reusable storage boxes, perfect for presenting at a holiday event. 3. Recipients choose the brand and size diapers they would like to receive each month and select from all of the major brands – Pampers, Huggies, Luvs and Members’ Mark. Their diapers are delivered straight to their door each month! I mean how perfect?? Diaper-subscription, not your thing? No worries there are plenty of other bundles to choose from. Want to give a little one the gift of a lifetime and help them develop a love of reading? IncrediBundles.com makes it easy with an assortment of Book Bundles perfect for gifting to babies and toddlers. Each IncrediBundles.com Book Bundle features a carefully curated selection of the best titles for babies and toddlers in premium board book formats. Their bestselling Baby’s First Books Bundles and Bedtime Book Bundles are filled with books that are essential for any child’s first library. Like the diaper subscription, each IncrediBundles.com Book Bundle arrives beautifully packaged in one of the company’s reusable storage containers, perfect for storing books and toys stylishly throughout the house. Finally, be sure to check out IncrediBundles.com’s line of Bath Bundles . Babies and toddlers are experts at getting dirty. An IncrediBundles.com Bath Bundle makes getting clean just as fun! Each Bath Bundle features a fun animal-themed hooded bath towel along with an assortment of fun toys that will make bath time their favorite time of day. So if you're looking for the foolproof holiday gift this season? Incredibundles.com has you covered. would you give someone a diaper subscription as a gift? I love that there are so many subscription bundles to choose from! I'm sure all moms will appreciate a gift like this.